Although physicians declared that immunotherapy couldn't cure their ovarian cancer, the docs were mistaken. According to a recent story by Gina Kolata in The New York Times, four young women — living in different countries — "had an extremely rare, aggressive and fatal form of ovarian cancer" and weren't expected to live much longer. All four managed to get immunotherapy and their cancers, in total contrast to conventional wisdom, went into remission. 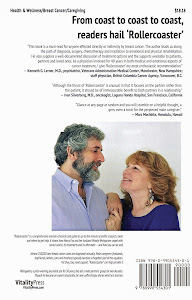 Kolata quotes Dr. Jedd Wolchok, chief of the melanoma and immunotherapeutics service at Memorial Sloan Kettering Cancer Center in New York, as saying, "What we are seeing here is that we have not yet learned the whole story of what it takes for tumors to be recognized by the immune system." He contends that researchers and medical personnel "need to study the people who have a biology that goes against the conventional generalizations." 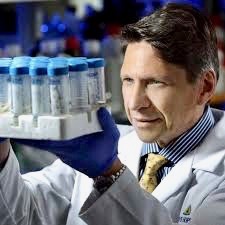 Dr. Drew Pardoll, who directs the Bloomberg-Kimmel Institute for Cancer Immunotherapy at Johns Hopkins Medicine in Baltimore, notes that although four women hardly constitutes a clinical trial, "it is the exceptions that give you the best insights." The cancer that had struck all four was hypercalcemic small cell ovarian cancer, which, Kolata writes, "occurs in a woman's teens or 20s [and] is so rare that most oncologist never see a single patient with it." Immunotherapy drugs have been successful in treating lung cancer, a genetic type of colorectal cancer and melanoma but cancers of the prostate, pancreas, breast and ovaries have rarely responded. 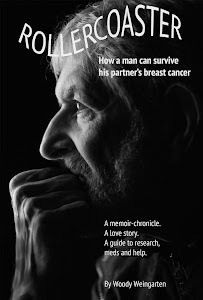 More details about cancer research and trials can be found in "Rollercoaster: How a man can survive his partner's breast cancer," a VitalityPress book I, Woody Weingarten, aimed at male caregivers.